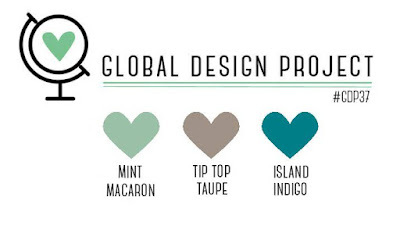 This week on Global Design Project we have a colour challenge for you to enjoy or participate. 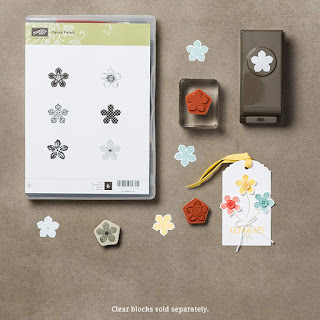 We are making projects using : Mint macaroon, Tip Top Taupe and Island Indigo colours by Stampin' Up! 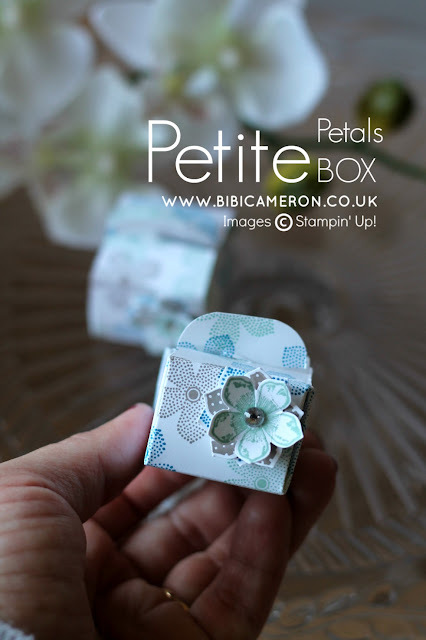 and I made this delicate miniature box using Petite Petals stamp set and punch to create a cute floral embellishment and my own designer paper and by stamping on whisper white card stock with the colours for this challenge. CLICK HERE TO SUBSCRIBE TO MY YOU-TUBE CHANNEL AND WATCH VIDEO TUTORIAL COMING SOON! Super tiny, but super cute! Such a great idea to make your own DSP Bibi. 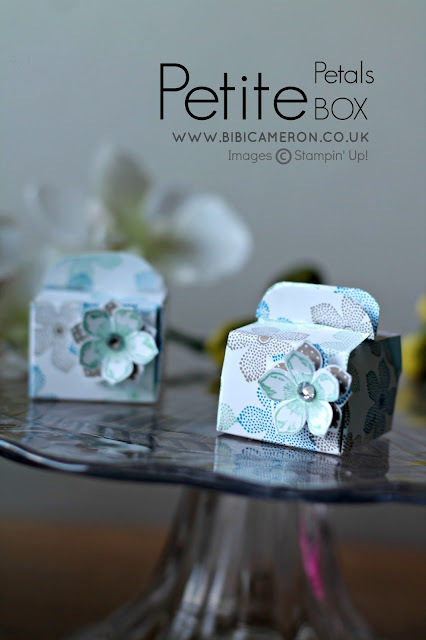 The cutest little boxes EVER. Adorable treat box, Bibi! What a great use of these colors - love it!